Ansira, one of the largest agencies in North America specializing in CRM, loyalty, marketing solutions and digital strategies, today announced tremendous company growth led by increasing year-over-year, top-line performance. In its 99th year, Ansira has been recognized as a leader and strong performer in the The Forrester Wave™: Through-Channel Marketing Automation (TCMA) and Customer Database and Engagement Agencies, Q2 2018 report. The company also recently announced the acquisition of Brand Protection Agency and made history by hiring its first female CEO, Daina Middleton. 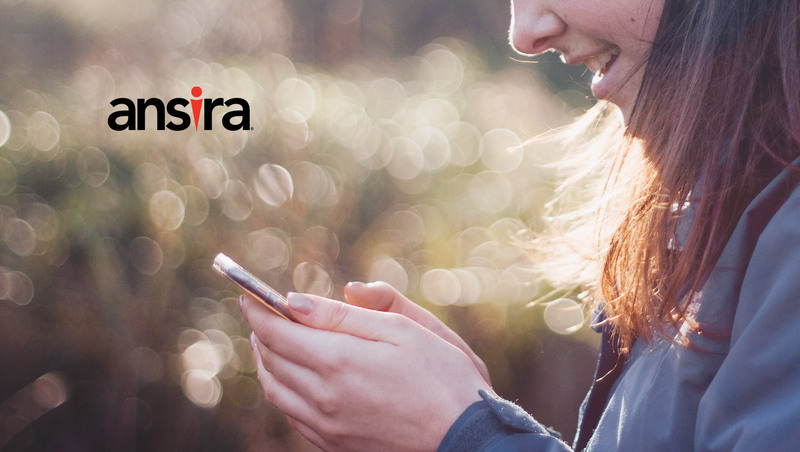 Ansira’s continued momentum speaks to significant market opportunities and demand for actionable customer experience management, transparent and accountable enterprise-to-local expertise and channel partner empowerment. New Executive Leadership: Ansira appointed its first female CEO, Daina Middleton and expanded its executive team, hiring John Parks as EVP, chief information officer; Chris Henger as EVP, chief product officer; and Cindy McEntire, chief of people and culture. Industry Recognition and Accolades: Ansira has been cited as a leader and strong agency performer in Through-Channel Marketing Automation (TCMA) and Customer Database and Engagement, by Forrester’s quarterly Forrester Wave report — the only agency to be cited in both Waves, demonstrating the company’s breadth and depth of solution sets. This prestigious recognition comes on the heels of MarTechExec’s 50 Women to Know in MarTech – 2018 award that Middleton and Kelly Jo Sands, EVP, marketing technology and data services, received. Acquisition of Brand Protection Agency (BPA): Ansira continues its winning acquisition streak by acquiring Dallas-based Brand Protection Agency, an SaaS-based platform that provides manufacturers and brands with the ability to monitor, manage and communicate with their online reseller channels. “Our recent acquisition aligns with our growth strategy of pursuing companies that share our vision of being a bellwether marketing solutions provider in the brand-to-local marketing space,” said Adam Vandermyde, EVP, operations. Ansira has maintained an above-average NPS score while remaining one of the top three largest independently owned CRM and direct marketing agencies in the United States. With over 800 team members across 13 office locations, Ansira was built to align brands, consumers and channel partners in today’s complex, rapidly changing business environment — ensuring that all three can compete to win in the marketplace. Ansira establishes and strengthens profitable customer relationships for its clients, by offering integrated and stand-alone marketing solutions that are focused on transparent and accountable channel partner management, optimizing CRM programs and customer acquisition platforms, and strategies. Ansira’s core capabilities include: data analytics, campaign management, strategic planning, digital design, web development, integrated media/search, creative, channel marketing automation, Co-op and MDF fund management, brand and financial compliance, digital asset management and experiential marketing. Ansira models, integrates and activates first-, second- and third-party data, delivering data-driven marketing programs at the national and local level. Ansira supports its clients with digital media buying and planning, CRM and loyalty programs, web and creative development, and strategy and analytics. The company is majority owned by Advent International, one of the largest and most experienced global private equity investors and continues to be open to strategic acquisitions to reinforce Ansira’s position as an industry leader. Ansira is focused on other best-in-class marketing services companies that complement Ansira’s business while best positioning it for continued growth.